The British & Colombian Chamber of Commerce,The British Argentine Chamber of Commerce, The Mexican Chamber of Commerce in Great Britain, and the Latin American Network have joined forces once again to bring you the Latin American Party of the year for business executives. The Latin American Chambers & Latin Network are delighted to invite you to our annual Latin American Networking Party! 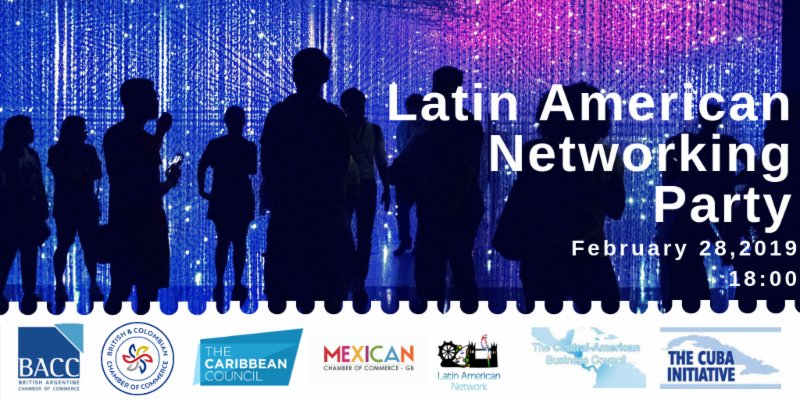 The 15th Edition of the Latin American Networking Party will take place 28th of February. British & Latin American professionals have the opportunity to network on a business level and to interact with each other in a social environment, bringing more opportunities not just for business but also for establishing a network of contacts. After our Networking reception there will be time to dance! Please note that full refunds will be given ONLY if it is requested in writing and before the14th of February 2019 at 17:00hrs; please send us an email to projects@britishandcolombianchamber.com. If you are unable to attend a substitute delegate is welcome at no extra charge. All guests must present valid ID on arrival (Passport or Driver's licence). Please no ripped jeans, sportswear or trainers. Entry is always at the discretion of the door. 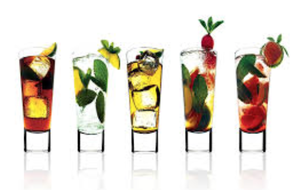 The MexCC*Note: Alcoholic beverages will be available for purchase at the event. Registration is limited to availability. Interested in hosting or sponsoring our Party in 2020?